Many people remember reading George Orwell's "Animal Farm" in high school or college, with its chilling finale in which the farm animals looked back and forth at the tyrannical pigs and the exploitative human farmers but found it "impossible to say which was which." That ending was altered in the 1955 animated version, which removed the humans, leaving only the nasty pigs. Another example of Hollywood butchering great literature? Yes, but in this case the film's secret producer was the Central Intelligence Agency. The C.I.A., it seems, was worried that the public might be too influenced by Orwell's pox-on-both-their-houses critique of the capitalist humans and Communist pigs. 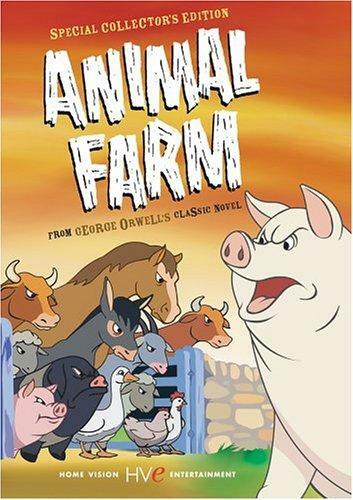 So after his death in 1950, agents were dispatched (by none other than E. Howard Hunt, later of Watergate fame) to buy the film rights to "Animal Farm" from his widow to make its message more overtly anti-Communist. You can watch the entire film streaming for free (with ads) over at Hulu. Stops spies from sweating during torture.